Ministry plans to seek share of tourism tax | Daily Express Online, Sabah, Malaysia. Kuala Lumpur: The Ministry of Tourism, Arts and Culture plans to apply for a certain amount of allocation from the revenue collected from tourism tax to be used as addition funding for national tourism, arts and heritage efforts.Its Minister Datuk Mohamaddin Ketapi said it was fair if a little of the revenue, which was managed by the Ministry of Finance, be given to his ministry. "We are the collectors. It is the Royal Malaysian Customs Department and the Ministry of Finance who keep the money. Indeed, we have the intention (to request) ... Give us a small amount of the money that we have collected," he told reporters after the 2018 National Heritage Declaration ceremony here Wednesday. Mohamaddin stressed that the tourism tax would not be abolished as it was source of the country's revenue. 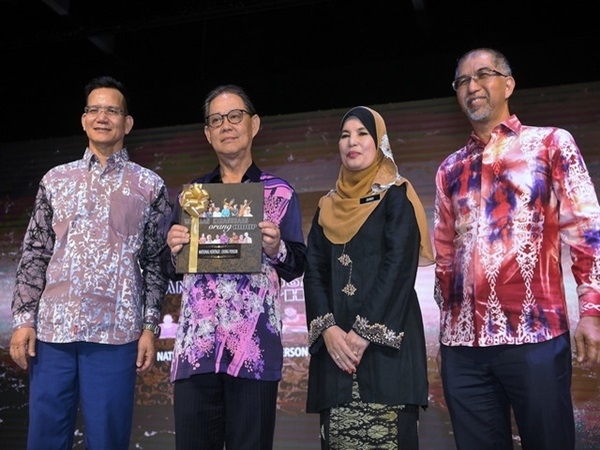 Earlier, Mohamaddin declared 255 heritage details covering 24 heritage sites, 225 heritage objects including the late Tan Sri P. Ramlee's songs and six living people as 2018 National Heritages.